So no surprise we have been even more busy than normal with clinics. We had a great one for Wobbleberries at Comphurst. A lovely day in the sunshine with SJ in a grass arena in the morning, some time with Martin talking through how to do a BE entry and what to expect on the day, an amazing lunch provided by Comphurst’s owners Tanya and Will Reid during which I did a short chat on the psychological side of things, then some speed training with Tanya, and some XC schooling with me. 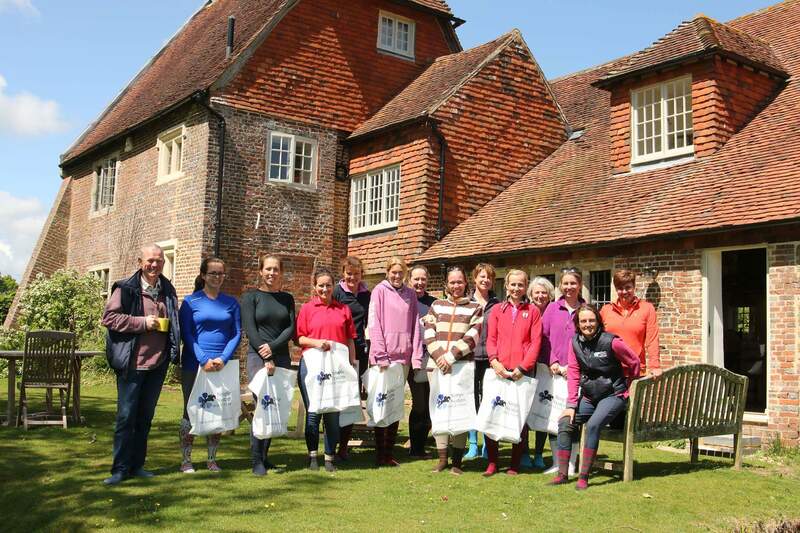 We’ve also had the usual Carmen Court monthly clinics, XC schooling at various venues, and another all day clinic at LMEQ. During this time the Black Bomber has been very busy! Firstly, there was Tweseldown for the BE90. She was quite beside herself warming up for the dressage which is most unlike her but still managed to pull out a 29.0 dressage. The SJ collecting ring was a little chaotic and Martin was being nagged to jump 20 minutes before his time. Unfortunately this seemed to cause a short circuit in the SatNav wiring and he went from Jump 1 to Jump 6. Donut brains!! Luckily the lovely judge let him start again from the second fence and they jumped a lovely clear and were allowed to go XC hors concours. The XC course has had quite a revamp and looked amazing but asked a few questions and caused a fair bit of trouble. The Bomber was rather looky but she did keep going and jumped clear meaning that she would have finished on 29.0 and been in second place. I was really pleased that she had been allowed to run as it was a very educational day for her. Good BomBoms! She then went to Borde Hill for the BE90 and had another really consistent day jumping like a star. She finished again on her dressage score of 29.0 which was good enough to win her section. Wowee, you should have seen her swagger off the lorry to tell Ehren all about it! 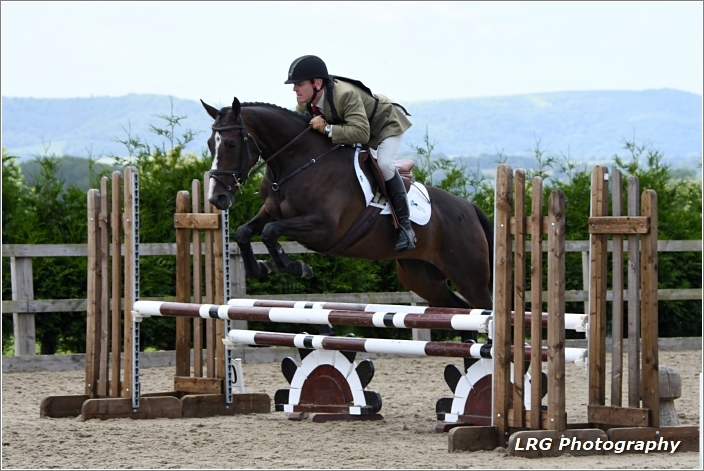 So with two wins, a fourth and a ‘would-have-been-second’ in her BE90s this year we thought it was time to try a BE100 so we headed off to Berkshire College. She got 29.0 dressage, two poles SJ (in a very tight spooky arena that really didn’t suit her), and jumped a super clear XC taking all the straight routes for 0.8 time finishing on 36.8. Very proud! Ehren has been a bit out of sorts. The list includes struggling with her spring seasons, needing a saddle revamp, having another bad reaction to her flu and tetanus vaccination, then just when I thought we were getting back on track the dentist found a fractured tooth, and there is always the need for work on her poll after seeing the dentist….! Hopefully with that lot sorted we can get some consistency in her work again and crack on with getting her confidence back. I have been schooling her away from home with this in mind and also took her to BlueBarn BD for the Advanced Mediums to get her out again. One the plus side she did feel more relaxed and confident, and coped with the warm-up arena much better than she has in ages. However (!) there was this pesky stripe of light on the floor at K. All these stories she has heard from the Bomber about ditches the size of the Suez Canal and she was convinced it was a hole in the floor. So we gathered two 1s, two 2s and a handful of 4s gingerly walking across it when we should have been in canter. At one point I was in extended canter heading right towards it, the sun had gone in finally and I dared to breathe a sigh of relief. Silly me, as I was about three feet away it suddenly reappeared ‘ta-dah!’. Bless her. 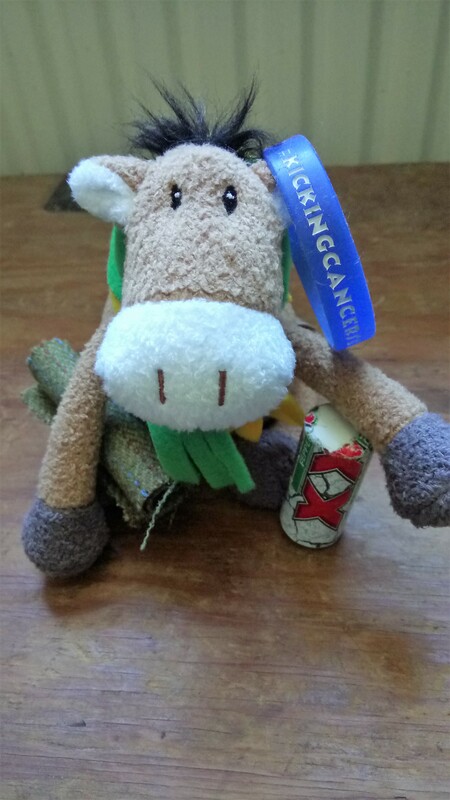 Really do need to find her some brave pants from somewhere…..
Then talking of wearing brave pants, young Millipede went to the Riding Club ODE at Coombelands and trotted round the 80cm like a total pro and finished in 10th place. 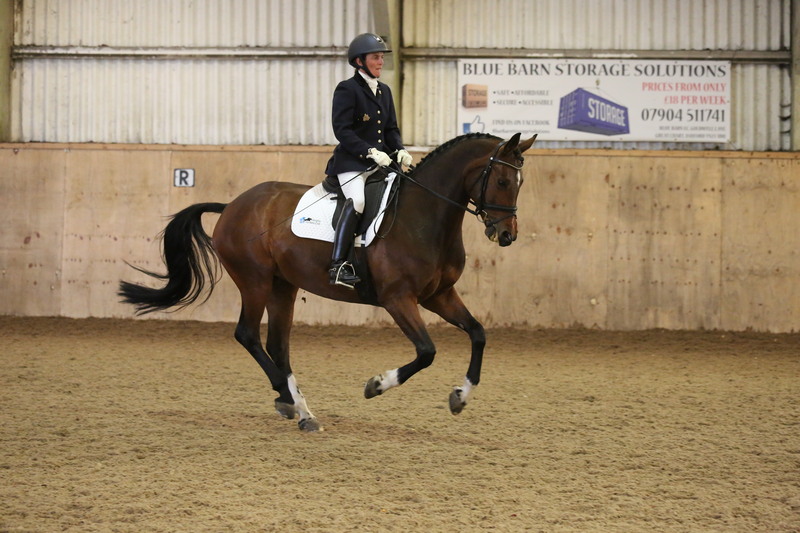 Awww…..the first homebred does her first event, such a good girl. 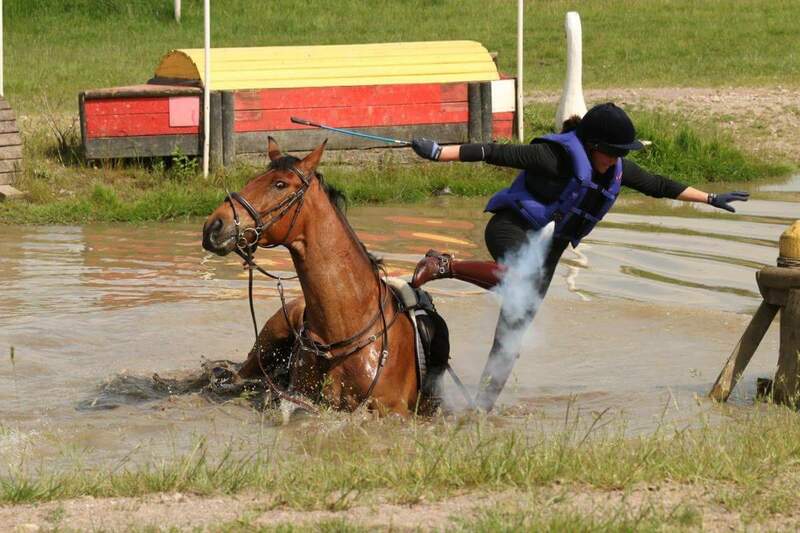 Naughty horse fancied a dip at LMEQ!